“The Sino-Japanese dispute over the Diaoyu/Senkaku Islands is not single or simple as it itself may indicate. Instead, it is a multifaceted and complicated issue. The complexity of the dispute lies not only in its multiple and interrelated foci such as its ownership, its return, and the demarcation of Sino-Japanese maritime boundary, but also in its entanglement with other problems in bilateral relations, both China and Japan’s domestic politics, and their respective broad foreign relations as well. Following on below, this resource seeks to provide a collection of different analyses, theories, positions and various interpretations and approaches taken by the various engaged and affected parties on the Senkaku-Diaoyu Islands Dispute. For breaking news see this page. 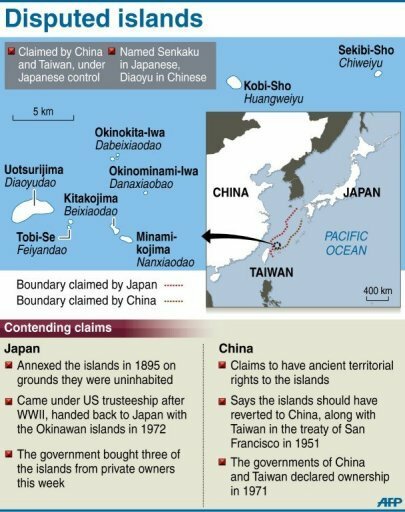 Japan and China: Barren Rocks, barren nationalism and Q&A: China islands row provides historical context. GlobalSecurity.org’s analysis on Senkaku/Diaoyutai Islands issue has one of most detailed briefs online, and also mentions the political machinations on both sides as well as the discovery of greater oil reserves than earlier thought as a possible reason for the escalation of tensions and claims. JapanFocus.org’s The China-Japan Clash Over the Diaoyu/Senkaku Islands also has detailed background and motivations behind the regional rivalries over barren rocks. The role of international law and importance of EEZ to Japan see Islands Apart, Make Law not War, The Senkaku/Daioyu Islands Dispute (old 1996) and Lines of Latitude by Cohen, Van Dyke and Tkacik (NYU School of Law). The current Chinese political position appears to have shifted from the position taken in this paper Explaining Stability in the Senkaku (Diaoyu) Islands Dispute. Maritime Territorial Disputes in East Asia: A Comparative Analysis of the South China Sea with the East China Sea (Journal of Current Chinese Affairs 2/2011: 165-193 ) This article systematically compares maritime territorial disputes in the East and South China Seas. It draws on the bargaining model of war and hegemonic stability theory to track the record of conflicts and shifts in the relative power balances of the claimants and calls for a differentiated methodological approach to devise strategies to mediate and resolve the disputes.